Fan artist Ileliberte first came to my notice through her Stargate: Atlantis artwork. Her use of color saturation always drew in my eye because the characters seemed whimsical and well-placed within the surroundings of the pieces. This was originally what drew me to her Supernatural artwork as well. 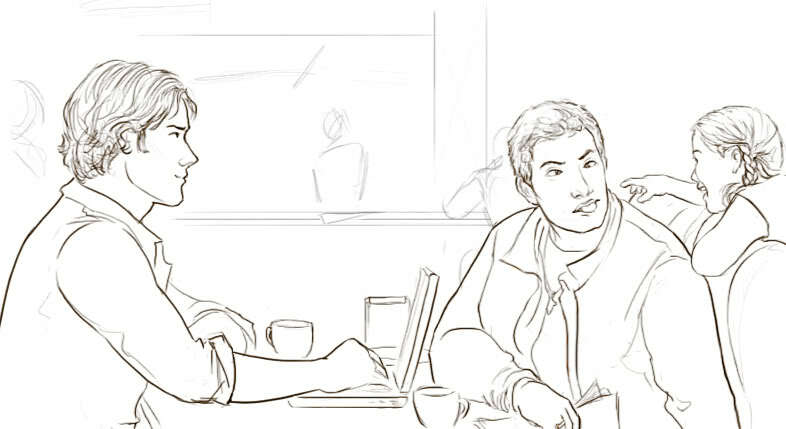 And then I found her line art pieces and while I readily commend many color art pieces, it is the absence of color in these pieces that take it to another level. Her lines give the piece motion. You can almost see the steam actively curling up from the hot coffee pot. 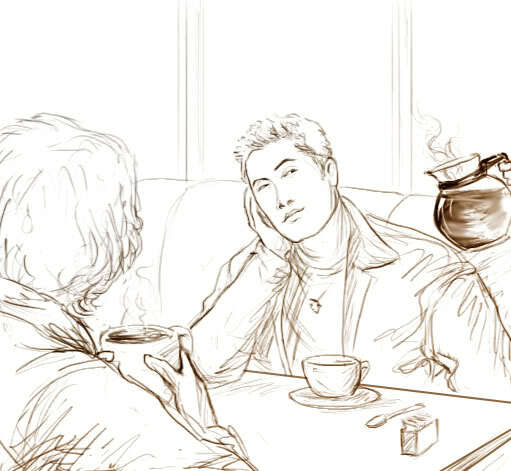 And her shading of Dean’s jacket make you think he’s about two seconds from leaning over and hitting on the waitress. This is the Winchester normality; sitting in a diner in the middle of who-knows-where, eating a greasy breakfast and trying to wake up before they go out and slay some monsters. And even with the use of partial color overtones, it simply adds to the feelings that the piece sets out to convey. You can see the sun coming up over the horizon as they start a new day. 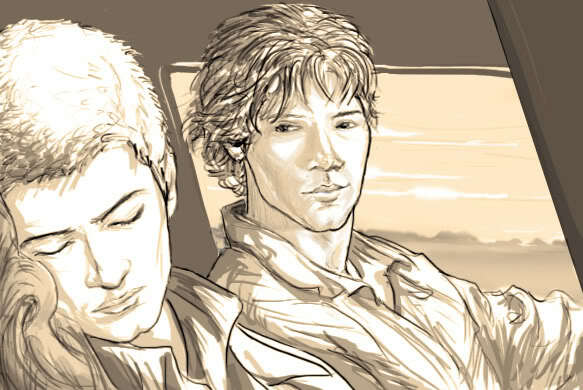 Dean is still exhausted from the night before, or maybe they’ve been taking turns driving through the night, but either way Sammy is driving while his big brother catches a nap. 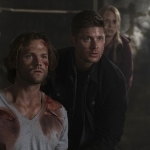 Sam will keep them both safe until Dean wakes up and takes on the role yet again. It’s what they do, it’s who they are. 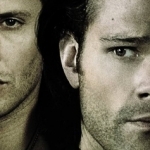 Whatever new pieces Ileliberte comes up with, I can be assured that there will be a story within the lines and we all get to share in the journey that the Winchester brothers are taking across this land. I didn’t really know about her works. It’s really original! I like!